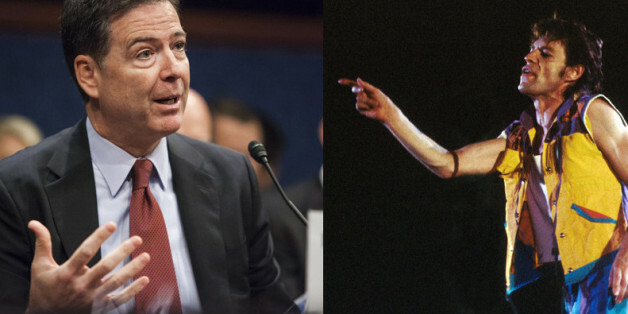 This week's news in the encryption debates drives home the point that FBI Director James Comey could learn a thing or two from Mick Jagger. Mick reminded us that "You can't always get what you want, but if you try sometimes, you just might find, you get what you need." What Comey wants is to put a backdoor in all encryption software so he can read and listen to scrambled messages, with a court order of course. What government doesn't want that? Just last week, the British intelligence agency MI5 proposed banning from the United Kingdom encrypted text programs such as WhatsApp, Apple's iMessage, and similar offerings from Facebook and Google. The week before, the Times of India reported a government proposal there to have the government approve encryption software so it won't be too hard to crack. Also in recent days, a leaked Obama administration document shows that top officials have been considering at least four proposals for how the FBI and other agencies can break into encrypted devices and messages. The troubling proposals overseas show the mischief that can come from having U.S. law enforcement clamor for weakened encryption. What's more, giving Comey his backdoor would not work, is not necessary and ignores the needs and values of other parts of society. Here's why it would not work. If there is a backdoor, other people, bad people, could figure out how to use it to steal valuable information. Other countries would also ask for their own backdoors and soon there would be so many doors that the encryption algorithm will go from being a fortress to looking like a colander. Terrorists and others would simply buy their encryption software overseas and use it in the US. US Customs agents are not going to be able to stop them from bringing in foreign origin software. The Comey Backdoor is not necessary because there is compelling evidence that law enforcement is in a "golden age of surveillance." The new obstacles posed by encryption are greatly outweighed by new law enforcement capabilities, such as tracking location through cellphones, learning about co-conspirators through meta-data about who they text or email and accessing the innumerable new databases that create digital dossiers about individuals' lives. Take the arrest this summer of Harlem Suarez, who allegedly was inspired by ISIL to place a bomb on a beach in Key West. Suarez came to the FBI's attention through his Facebook posts praising the Islamic State and containing threatening rhetoric. This social network content -- unavailable to previous eras of police officers -- provided the basis for detailed surveillance of Suarez' actions, leading to his arrest before he could use a bomb. Actually very few wiretaps and lawful interception of messages in the US today run into encrypted messages. On the rare occasion when that might happen law enforcement and intelligence agencies have ways of dealing with encrypted messages. They are doing it today. Most of what they do is secret and should remain that way, but suffice it to say that even if the alternative means are not easy, they work. We evaluate what we permit for law enforcement not by looking only at how a tool helps, but also at what it costs in non-monetary terms, how it affects other sectors of government, industry and society in general. Yes, from a law enforcement perspective it would make life easier if all encryption could be read. It would also be nice if everybody wore an ankle bracelet or if we recorded all telephone conversations. We don't do that, however, because we have other values and needs. So it is with encryption; we have other needs and values that outweigh Jim Comey's wants. Among those are the security and privacy of financial, medical, industrial and personal data, all of which we encrypt these days. We served on the NSA Review Group that considered these issues and unanimously recommended to President Obama that we should actually "increase the use of encryption and urge US companies to do so, in order to better protect data in transit, at rest, in the cloud, and in other storage." What Comey wants would put all of that data at higher risk of compromise, theft and manipulation. If all you had to consider was law enforcement and making it easy to do, you would want what Comey wants. Using Big Data analysis and other techniques, however, the FBI can "get what they need." And if we, as a nation, value keeping some data secure and private, even from government, then we should choose a national policy that encourages encryption. But wait, we already have. A similar idea to Comey's, called the Clipper Chip proposal, was rejected by Congress in the early 1990s. It was the right call then and, on balance, it still is. Richard Clarke and Peter Swire were members of President Obama's Review Group on Intelligence and Communications Technology. Clarke is former anti-terrorism chief advisor to Presidents Clinton and George W. Bush. Swire is a professor at the Georgia Tech Scheller College of Business.